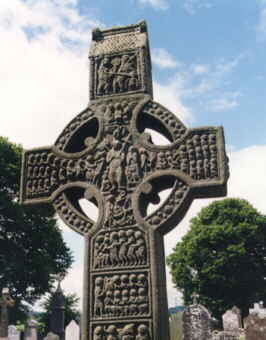 We mentioned it already on the page of Glendalough: Ireland is famous for its High Crosses. 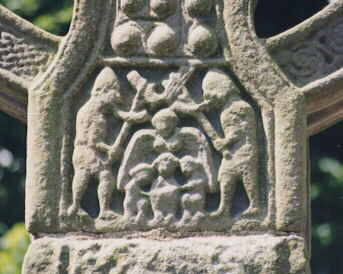 Some of the finest examples are in Monasterboice, nearby Newgrange. 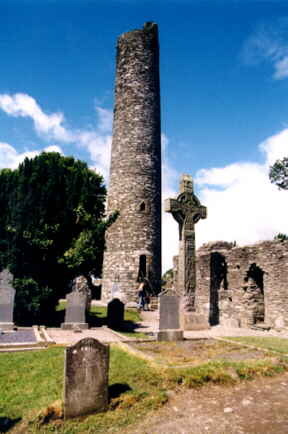 As you can see on the picture above, Monasterboice also has one of the best reserved Round Towers of Ireland (except for the roof). The crosses are used as a picture book of the Bible. Since they are up to 6.5 meters tall, there is plenty of space to illustrate some stories. 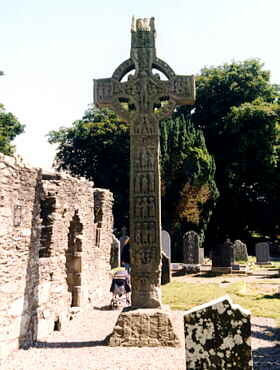 The crosses stand on a cemetery, which is still used. It is a great opportunity to compare the crosses from several centuries.